There are nearly 2,500,000 pages of Greek New Testament manuscripts remaining from the ancient and medieval worlds, which are scattered across the globe in more than 250 libraries, institutions, monasteries, and private collections. These handwritten documents are the foundation for determining the original words of the New Testament and understanding the history of how the text was copied over the centuries. Our initial mission is to digitally preserve Greek New Testament manuscripts for the modern world. And since 2002, we have digitized more than 500,000 pages! CSNTM is a 501(c)(3) non-profit organization based in Plano, TX. All donations are tax-deductible to the extent allowable by law. We digitize because it is critical for preserving, sharing, and studying Christian Scriptures. 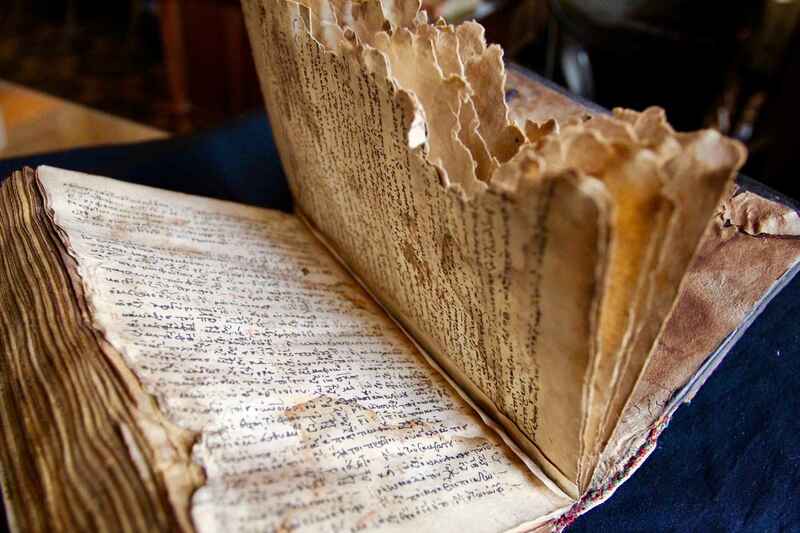 Preservation matters because even the best conservation methods cannot prevent manuscripts from natural decay. Our digitization process captures the text and features of the document in high-resolution images so that it is digitally archived for future generations. Sharing matters because it allows modern world-wide access to these ancient documents. Before, people examined low-quality microfilm reels or, if they were lucky, traveled to the manuscripts. Today, anyone can see thousands of pages of the Greek New Testament at the click of a button. Study matters because Greek New Testament manuscripts are essential for determining the original text of the New Testament as far as humanly possible. We also study manuscripts to learn how the New Testament was passed down through the centuries and to understand the people who copied and read them. CSNTM's images are actually easier to read than the physical artifact! Check out this video from our digitization project at the National Library of Greece in 2015.